I wasn’t that familiar with this bird, but it sounds like it knows how to be silly and have fun. It’s Friday, so for many of us this is perfect timing. Enjoy your day and your weekend, fellow goofballs! Message: Sandpipers are like cute little clowns, poking their beaks into the sand before darting off to chase the waves. The appearance of Sandpiper Spirit is a sign that now is a time to engage your playfulness. Whatever tasks you have before you, perform them with a lightness of being. Explore the familiar, discovering the new in the old. Who knows what treasure awaits you when you let yourself laugh and have fun? Sandpiper Spirit’s happy and curious nature can help you to feel rejuvenated as you remember your ability to run and fly and dance playfully. 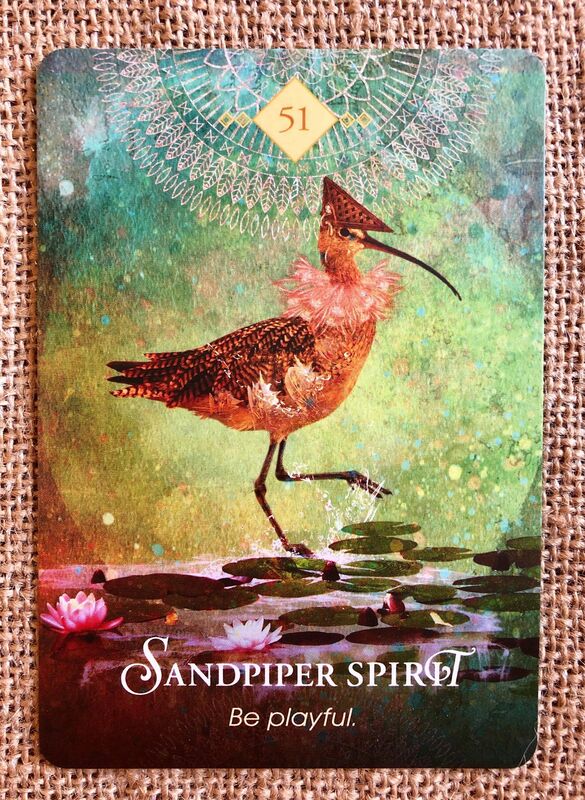 Protection Message: When your heart is heavy and life seems to weigh you down, Sandpiper Spirit’s message is to lighten your burden by finding joy and humor in the everyday. Become like a playful child, filled with curiosity and wonder, and soon you will find that you feel your own spirit lift. A few minutes or hours of fun-filled delight is exactly what you need now. Enjoy the ridiculousness of life and be willing to jump in. Let your inner goof out to express itself with abandon.